If a Medicare provider’s claim for payment is denied or if a Recovery Audit Contractor (RAC) determines that a past payment was made improperly, the provider may appeal the denial. Medicare provides a 5-level appeal process that begins with a request that the Medicare Administrative Contractor (MAC) make a redetermination on the claim. If that is unsuccessful, the provider may seek reconsideration from a Qualified Independent Contractor (QIC). If the QIC agrees that the denial was proper, the provider may request a hearing before an Administrative Law Judge (ALJ) in the Office of Medicare Hearings and Appeals (OMHA). The Secretary shall assure the independence of administrative law judges performing the administrative law judge functions … from the Centers for Medicare & Medicaid Services and its contractors. In order to assure such independence, the Secretary shall place such judges in an administrative office that is organizationally and functionally separate from such Centers. There are currently 65 OMHA ALJs in 4 regional field offices. The ALJs are organized into teams and supported by OMHA attorneys, paralegals and legal assistants. While OMHA ALJs hear appeals involving, among other things, an individual’s eligibility for Medicare and coverage determinations under Parts C and D, the largest part of the ALJs workload comes from Part A and B provider appeals of pre and/or post payment denials by one of Medicare’s audit contractors. The Effect of RAC Audits on the ALJ’s Caseload. According to the latest appeal statistics from CMS, RACs issued payment denials for 903,372 claims in fiscal year 2011 and providers filed 56,620 appeals in fiscal year 2011. 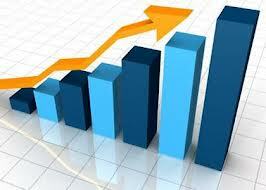 According to statistics maintained by OMHA, it received 132,446 appeals in fiscal year 2012. Out of the 132,446 appeals filed, 40,386 or 30.5% were filed from RAC denials by Part A hospitals. By comparison, Part A hospitals filed just 1,545 appeals in FY 2011. The increase in ALJ appeals is certainly not unexpected as a result of the nationwide expansion of the RAC program in 2010. The increased caseload has already impacted the ALJ’s ability to comply with the regulatory mandate set forth at 42 C.F.R. 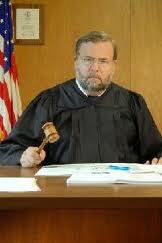 §405.1006 that appeals to the ALJ be decided within 90 days. There is little doubt that as more and more appeals reach the ALJs, providers will experience ever increasing delays in decisions by the ALJs. While some delay may be acceptable, a restrictive CMS policy regarding the payment of reasonable and necessary Part B services provided by a hospital to a beneficiary may cause such an increase in the level of ALJ appeals as to make timely decisions by an ALJ impossible and deprive a provider of the legally required prompt resolution of its appeal.